Are you a fan of OREOs? We're constantly on the lookout for the latest flavor trials of OREO cookies. If you like OREOs, you might want to stop by Walmart and check out their latest offerings. OREO Thin Bites and ID OREO flavored Iced Coffee. Buy together and you can earn $2 with Ibotta, buy separately or only one and get $1.00 for the iced coffee and 50¢ for the cookies. New to Ibotta? You might be eligible for a $10 welcome bonus, too. There are four varieties of OREO Thin Bites available. Regular/original and three fudge-dipped options, original, mint creme, and coconut creme. 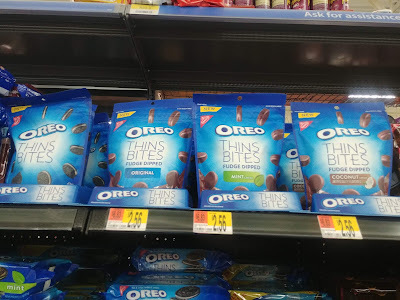 OREO Thins Bites are a thin twist on the OREO cookie you love and are now Bite-Sized! 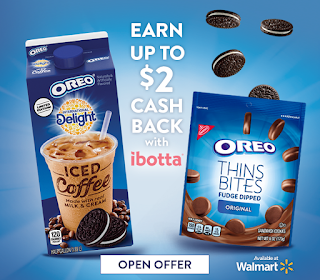 You can receive 50¢ off OREO Thins Bites at Walmart using the Ibotta offer through their app. Finding the limited edition ID OREO Iced Coffee won't be easy. For me, all I could find was the Mocha, Mocha Light, and, in a few stores, Caramel Mocchiato, so I'll keep looking. 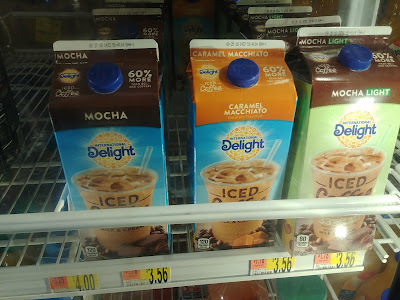 The iced coffee is in the refrigerated section for sure but is in a totally separate refrigerator than the other International Delight coffee creamers. If you can find it... you'll get $1.00 off the price. 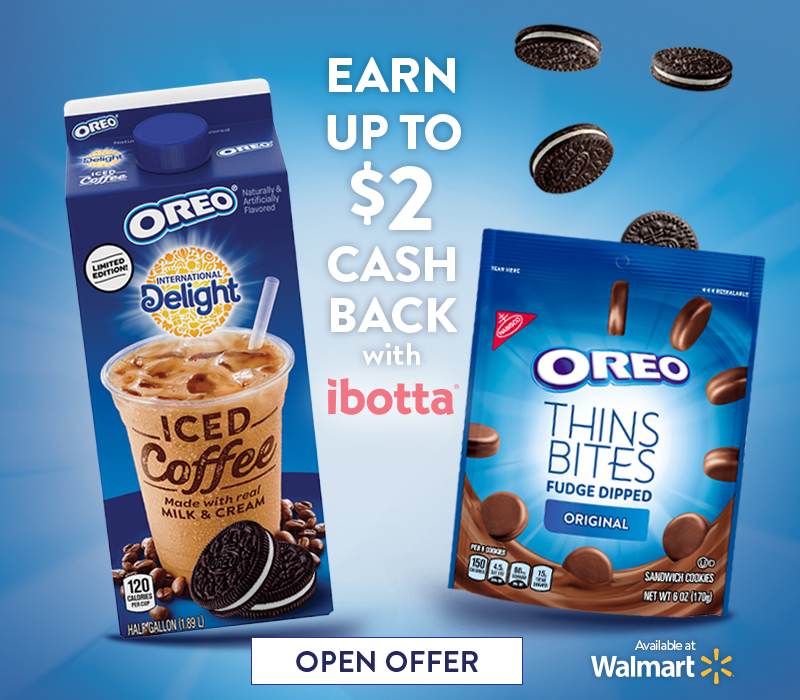 When the OREO Thins Bites and ID OREO Iced Coffee are purchased together, you'll receive an additional $0.50 off through Ibotta. After you make your purchase, just upload the receipt to the Ibotta app (scan the QR code at bottom of receipt), and you'll see the money deposited into your Ibotta account balance. And, if this is the first receipt you've uploaded, that will qualify you for the $10 welcome bonus, too. Make sure you check off the two offers shown on the Ibotta OREO page before uploading the receipt. Oreos are my favorite! I am adding this Iced Coffee to my grocery list right now!